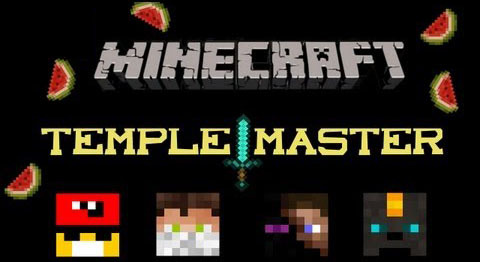 Temple Master is a large adventure map that features many many traps and smart puzzles that are completely resetable, so no having to reset the world if you mess up! Many Traps and parkour levels. Auto Resetable traps and puzzles, so no risk of damaging map if played properly! Checkpoints, even if you die! 5 Large dungeon like Temples to explore! All this in one easy to run package. 4. Open Minecraft and go to multiplayer. Follow windows steps up to step 2 and then open the Server folder inside the Temple0.3.0 folder.